People who work in a wide-range of industries run the risk of receiving a traumatic brain injury while on-the-job. According to the National Institute of Neurological Disorders and Stroke, common symptoms of traumatic brain injury. On behalf of Koszdin, Fields, Sherry & Katz posted in Workplace injuries on Monday, July 10, 2017. People who work in a wide-range of industries run the risk of receiving a traumatic brain injury while on-the-job. In fact, the Centers for Disease Control and Prevention reported that 30 percent of all injury deaths in the U.S. involve traumatic brain injury. At least 153 people die from TBI every day. Although brain injuries are most common in construction and warehouse settings in California and across the nation, workers who are employed in offices and other settings may be affected as well. 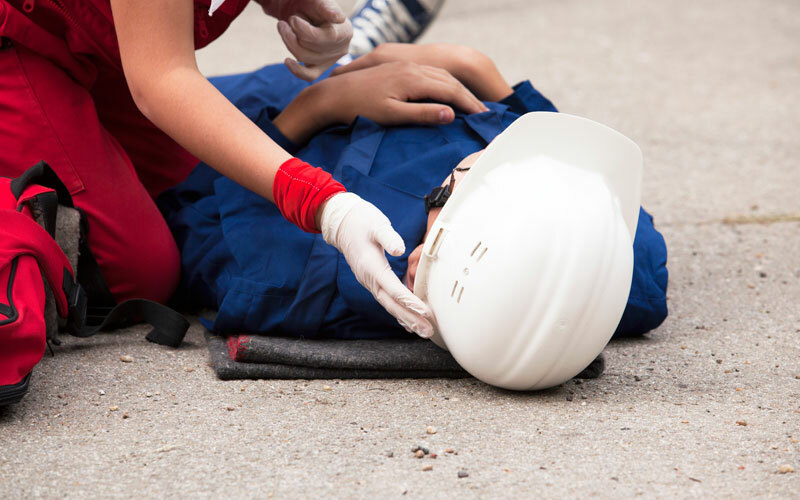 It is crucial that people know how to spot the signs of brain damage and receive medical attention as soon as possible in order to minimize the damage caused by these injuries. Consistent headaches that increase in intensity. Difficulty problem solving and organizing. Sensory deficits, such as problems hearing or seeing. In addition, people who have moderate to severe brain trauma may have seizures, muscle weakness, tingling in the extremities and long-term damage. For some people, brain damage can make it hard for people to return to work and perform the same types of duties that they did before the injury. Some people may need to find another type of job or apply for financial assistance to help them make ends meet.